Michael Buble is one hot daddy! 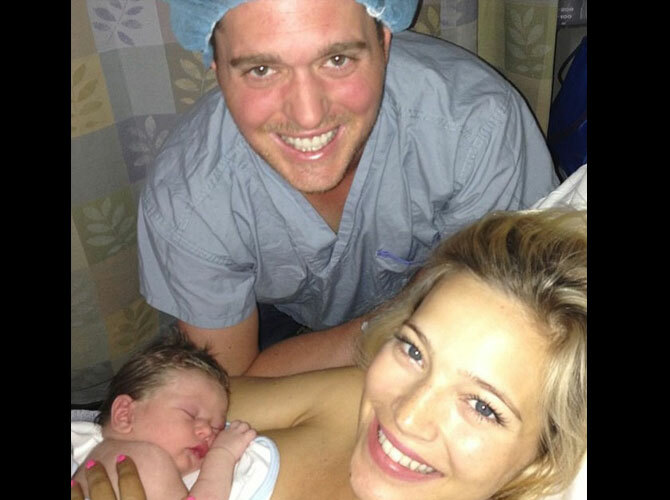 Michael Buble has become a father for the first time. The 37-year-old singer and his wife Luisana Lopilato have welcomed son Noah into the world after the 26-year-old beauty gave birth in the early hours of August 27, Tuesday, in Vancouver, Canada. The "It's a Beautiful Day" hitmaker wasted no time announcing the news, taking to Instagram to post a picture of the happy couple and their newborn baby in the hospital. He wrote: "Overjoyed and filled with gratitude at the arrival of our son." Michael previously said the day he found out he was going to be a father was the "greatest day" of his life, and the couple discovered in March they were expecting a boy. Earlier this month, the crooner revealed he was sticking close to Luisana—who is from Argentina—just in case she went into labour. He said: "I'm about 15 to 20 minutes away from home. Just in case anything happens, I'm there. "It's scary for her. She's in a country that's not her country, people are speaking a language that's not her first language. "So, you know, I've got her whole family here so there's a good support system."